Whether your needs range from Security Cameras and Digital Video Recorders to personal security items, we carry the products proven most effective in assuring your safety, security and peace of mind. We also carry a wide selection of video transmitters and receivers for all your wireless security camera applications. Protection Depot has been in business since 1999 and we are dedicated to bringing you quality products at affordable prices and customer support after the sale. Compare our low prices, $6.95 flat rate shipping and satisfaction guarantee with any other site and you'll discover why so many people choose to shop at Protection Depot. 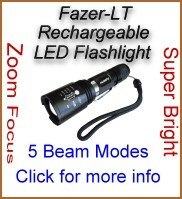 4-in-1 HD analog camera with motorized 2.8-12mm zoom lens. 2MP image quality with 98 feet if infrared night vision. Up to 8 megapixel recording resolution and 66 ft. of infrared night vision with wide angle lens. Indoor, Outdoor use with IK10 Ingress Protection. HD-TVI bullet camera with 5 mega-pixel resolution and standard wide angle lens. Features 3D DNR, Smart IR, DWDR and 75 ft. night vision. Infrared dome camera with 3.6mm wide angle lens and up to 170 feet of night vision. Color dome camera with Starvis Technology provides color images even in very low light areas. Comes with 2.8~10 mm adjustable lens and outdoor vandal proof housing. When it comes to protecting your residence or business the use of home security cameras and a security DVR are definitely something you want to consider. From providing live images of activities taking place or recorded video of events that occurred surveillance equipment is becoming more of a necessity than ever before. The quality and features they provide continues to improve and pricing is very affordable. We have a large selection of surveillance equipment to choose from and helpful information on deciding what you need. As always if you have questions on any of our products or need any help with choosing the right equipment please feel free to give us a call we're always happy to answer any questions. With the increasing popularity of smartphones and tablets remote video monitoring of your home security cameras has never been easier. All of our security DVR equipment and IP security cameras are capable of remote viewing on all popular systems such as iPhone, Android and Windows including tablets. Just plug any of our security cameras into one of our digital video recorders which then is plugged into a router and you will be able to view the cameras on your smartphone or any computer connected to the internet. Some configuration may be necessary but it's not difficult and only takes a few minutes. IP security cameras have internet servers built into them and can be plugged directly into a router to be viewed, Wi-Fi cameras can communicate with a router wirelessly with no need to run a video cable. As always if you have any questions or need help choosing the right security camera don't hesitate to call or email and we will be happy to assist you.